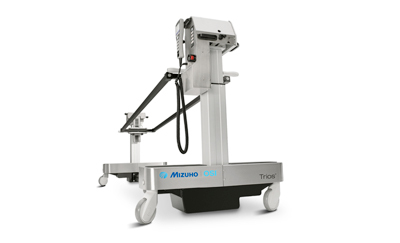 Mizuho OSI 3-piece Lateral Positioners are designed to maintain the patient in the desired position for total hip surgery as well as other lateral procedures. 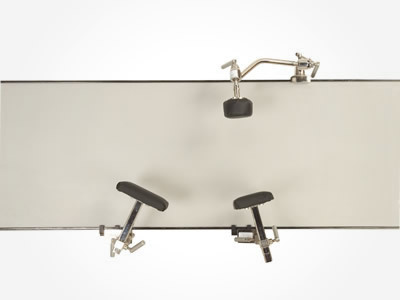 Each piece is adjustable in height, length and can be moved along the side rail to accomodate varying patient sizes. The 5301 Deluxe 3-Piece Lateral Positioner includes a ball joint on the pubic pad for more precise contour to the patient’s anatomy. – Pads are adjustable along the side rails to accommodate patients of all sizes. – The shoulder and sacral pads have an adjustable bar providing horizontal and vertical adjustment.